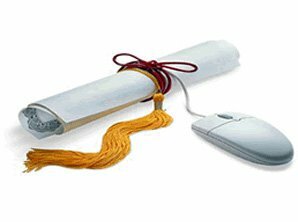 In the December 11, 2012 Ask The Headhunter Newsletter, a job hunter wants to know how to get past the college degree requirement when he’s sure he can do the job anyway. 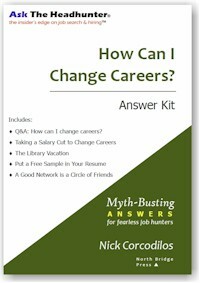 I just discovered your blog and have purchased How Can I Change Careers? 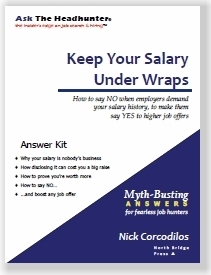 and Keep Your Salary Under Wraps. I have some questions regarding the job hunting process that keeps biting back at me. How do you get past the stigma of not having a college degree? 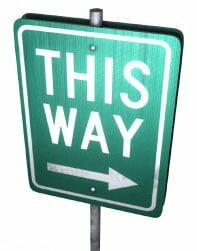 I am reading my way through your website and have taken in some of the information, such as networking to meet the people in charge of making the decision. However, I want to know how can I compete for jobs that require degrees when I am fully capable of meeting the job requirements as listed? Many employers set this as a requirement and don’t even want to talk to you unless you have a degree, regardless of whether you can do the job. I appreciate your help. Success requires turning the job hunting process on its head. The way it normally works, you provide your credentials and they decide whether to talk to you. If your keywords (that is, college degrees) don’t match, they tell you to go pound salt. But there is another way to approach this that can get you past the college requirement. Learn to talk shop before “credentials” dominate the transaction. ATH reader Thomas Lafferty explains it in the comments section of this blog posting: You can’t get a job because employers hire the wrong way. Tom basically wrote this column for me. I’d also like to ring in on the discussion about the effectiveness of demonstrating your abilities in an interview: It works. If I had relied on my resume for the last 3 jobs I had, I would not have gotten them. I had neither the experience nor the education, so my resume definitely hid my ability. This [demonstrating his ability to win the job] worked so well that in the first job I’m talking about I was the only person on staff without a degree or experience. The second job was created for me after I had already been hired at a lower level. Most people would balk at a lesser job. Not Thomas. He capitalized on it and got more than most job hunters do in the end: a custom job. Not bad, eh? The third company I’m talking about hired me without going through the traditional four-tier interview, and again I did not have the background or the education. In any case, what I did have was the skill to do the job and to prove it in an interview as well as a good dose of passion. 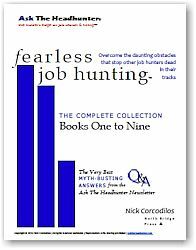 Since you have a copy of How Can I Change Careers?, check the sidebar on page 9, “Create your next job.” Pretend you’re creating that job from scratch. Prepare a brief plan for how you will contribute to the business through your work — and through that job. Be as specific as possible. 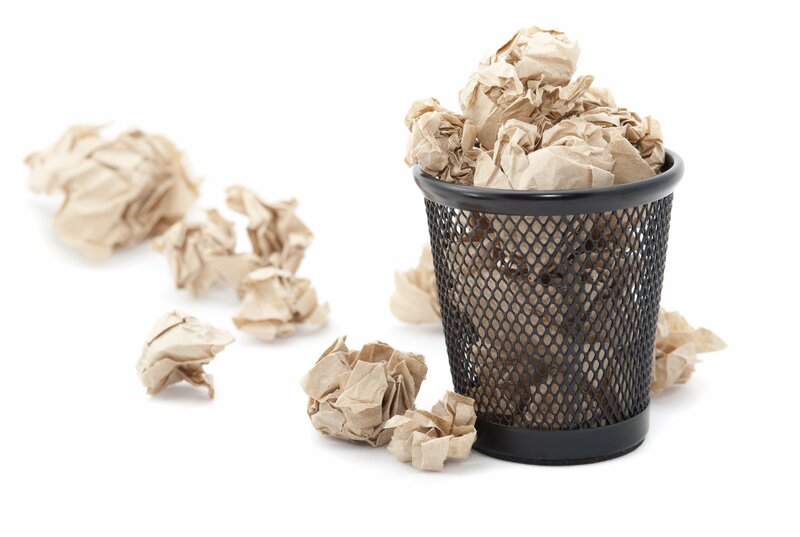 Once you’ve got your notes together, try to write a resume with a “Free Sample” in it — page 23. Finally, and most important, check page 27. You must enter the “Circle of Friends” that the manager is part of. I know this seems daunting if you’re a bit shy or lack confidence, but it’s critical. (If you need more help, try a few Toastmasters meetings — learn to be more comfortable breaking the ice with others.) Make one phone call to an insider — and ask just one question. Get the info you need, politely say thanks and end it. Don’t push yourself. Try two and three questions on the next calls. It gets easier. The contacts you make turn into advice and referrals and gaIn you the credibility you need with the manager. And that renders the college degree (and other indirect judgments about you) less important. You can compete for jobs that cite criteria you don’t meet, if you take an alternate approach that addresses what the employer really needs: proof that you can do the job. 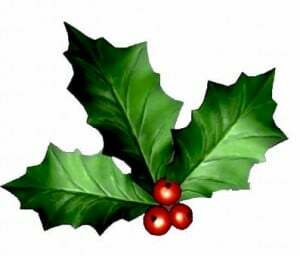 In the December 4, 2012 Ask The Headhunter Newsletter, a writer wonders about “social job hunting” on LinkedIn and Facebook. Is this a good new thing? LinkedIn has recently expanded its job search functionalities. Facebook is also planning a job portal. What do you think about them? Do you see any value in linking job postings with personal social networks? Filtering job openings using connections to people instead of keywords might give fresh ideas about where to work. An example of a simple filter: “Find openings where at least one of my contacts is working for that company.” If the search returns something interesting, there’s already an existing personal connection to someone who can help in the next step, which is finding out what the company is doing and whether it is the right one to apply for. Do you think this topic would be worth an article in your newsletter or in your blog? 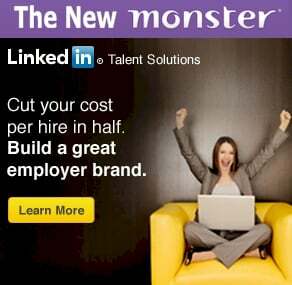 LinkedIn Talent Solutions: Cut your cost per hire in half. Build a great employer brand. Job Postings: Gain exposure to the most candidates, enjoy powerful screening tools, and access the best training resources with CareerBuilder’s Job Postings. 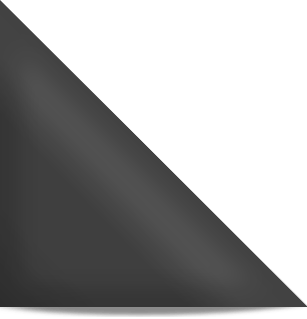 Power Resume Search: Stop Searching. Start Matching. Find the candidate you’ve been looking for. It’s the three stooges of job boards. They’re all dopes. Compare the pitches. You’d never tell one from the other except for its name. LinkedIn sold out “relationships” for “jobs” when it launched its button. I’ve been watching the moves by social sites into the jobs business. While at first glance it seems a natural thing for them to do, I think it’s more expedient than smart. They’re trying to find ways to generate revenue from their databases, and job boards are easy to add to any database model. What LinkedIn and other social networks are avoiding is what’s far more challenging: adding more and better “social” to their models. I think it would be more compelling for LinkedIn to use its social network to promote social behaviors that lead to job connections — without turning into yet another keyword-matching business. But it’s not. I really haven’t seen anything smart come out of LinkedIn’s move. If anything, LinkedIn is now regarded as “the job board companies use.” Stealing Monster’s customers is an accomplishment, but hardly an innovation. LinkedIn had so much potential to be so much more — it’s the company went off on a side track that leads nowhere. I know some of the world-class relationship builders LinkedIn hired to create a robust social networking approach to jobs. Then LinkedIn suddenly instituted a quota system and told them to dial for dollars. A new management team hired telemarketers straight out of a sales boiler room (a job board) and booted the people who might have done something revolutionary. The new crew could be working at TheLadders, selling job postings. That said, I think there’s tremendous potential here. Your idea of exploiting “links” to pursue jobs is a good one. But what concerns me is the premise: Asking the database for job openings where you know someone. My advice to job hunters is to “go hang out with people who do the work you want to do.” The object is not to link. (That’s too easy.) The object is to have shared experiences, so others can teach and judge you — and lead you to opportunities with others in their circles. You don’t need LinkedIn to do this, but it would have been a brilliant direction for the company. So, maybe a smarter way to use LinkedIn is a Zen kind of approach. Don’t go searching for jobs through people you already know (your contacts). Go to the groups that are talking about the work you want to do. Go to the work. And meet totally new people. Make sense? Why limit yourself to where your friends work? Go to where you want to work and make new friends — who will get you in the door. This takes a lot more effort and probably more time, but I think you need to be clear about your goal — the work you want. Just don’t expect LinkedIn to help you with this Zen approach; LinkedIn is too busy counting job postings. Reach top talent with premium access: Find and engage passive candidates with premium search, full profile visibility, and best-in-class pipeline tools. Gimme a break. LinkedIn is a job board and the world’s biggest resume repository. It can do far better. As for Facebook’s foray into the job board business, can you spell ZYNGA? How do you use LinkedIn? Is it just a fancy phonebook or rolodex? (I contend that’s all it is.) 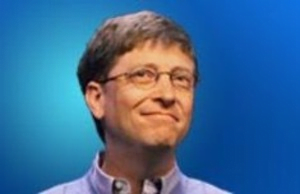 If you could take over LinkedIn, how would you change it, to make it a more productive tool for working with others? Join us on the blog with your ideas — or just to slap me around if you disagree. Resumes make me cringe. Elevator pitches make me cringe more. Elevator pitches delivered in e-mail make me wanna barf. Nothing is more banal, misdirected, or useless to someone that doesn’t know you. Consider how often an elevator pitch, or a cover letter, or a job inquiry reads like the note above. Maybe you’ve written one yourself. I want to tell you what’s wrong with these pitches. Then I want to know what you think — because most people seem to believe they must “craft” a chunk of b.s. like this to get an employer’s attention. Melanie isn’t cutting to the chase. The chase is my need to produce profit for my business. 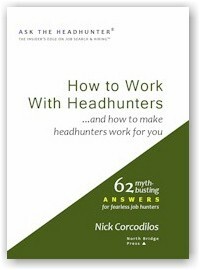 What Melanie wants to do (“to write for Ask The Headhunter”) is relevant only if it fits in with my business objectives. What does she know about them? Oops. If Melanie had spent five minutes on the ATH website, she’d know that — except for one small section, which she never mentions — all the articles are written by me. Trust me. When you’re on the receiving end, that’s what an elevator pitch — about anything — sounds like. I don’t care what Melanie’s former career was. When you have just a moment or two to engage someone in a business discussion, why would your speech be “crafted” about yourself? The answer is easy: You don’t know anything about the business of the person you’re talking to — the pitch is designed to be memorized and regurgitated in elevators to any captive. Want my attention? Tell me you know what my business is about and how you can make it better. Tell me about yourself later, after I behave as if I want to know. Melanie “stumbled” upon my blog. Four sentences into it, Melanie is still talking about herself. It’s pretty clear she has no idea what Ask The Headhunter is about. She worked in education, so she will write educational articles. About whatever. 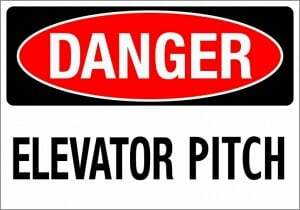 Elevator pitches are painful to create because they must account for the orator’s ignorance yet pretend to be insightful. Save yourself the trouble. If you need to break the ice with someone you don’t know, don’t talk about yourself or express what you think. Instead, ask them a question. People love it when we express interest in them. They are turned off when we recite stuff about ourselves. What is Melanie qualified to do for me? She hasn’t indicated she has any idea what I need. She’ll write anything for any audience, never mind who the audience is. And that’s the fatal flaw with any elevator pitch. By design it demonstrates one thing above all else: The speaker knows so little about the listener that she promises anything and everything. Here’s the insult: After the recitation, an elevator pitcher wants me to go figure out what to do with her and her ideas. No thanks. I’d rather she do that work. [6 & 7] This part of the pitch is the punch line. Usually, an elevator pitch ends with the orator handing over a resume or suggesting the listener invest a couple of hours in breakfast or lunch to listen to more. After delivering this elevator pitch about herself, Melanie wants me to spend the next hour reading six of her articles. She’s showing me examples of her work — and she’s telling me to go figure out whether her work is relevant to my business. I didn’t approach her — she approached me. So the burden is on the elevator pitcher to make her case. Suggesting I go figure it out is not making a case. 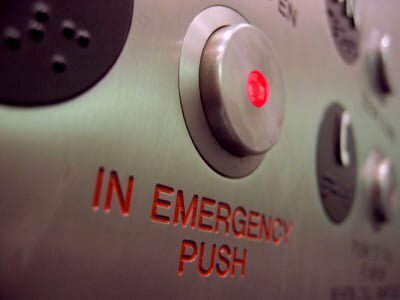 Consider what an elevator pitch is really about: You and your assumptions. If you want to do business with someone, why would you open the conversation by talking about yourself and about what’s important to you? If you want to do business with me, spend the precious minute you have with me proving you know about my business and what I need. Prove you thought enough about my business in advance to offer something useful to me. Ouch — you’d have to invest an awful lot of time and effort in me first, eh? Why would you? Why, indeed? And why should I devote two seconds to listening to you recite? Do you have an elevator pitch? What is it? 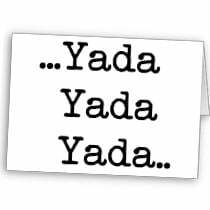 What reactions do you get when you recite it? 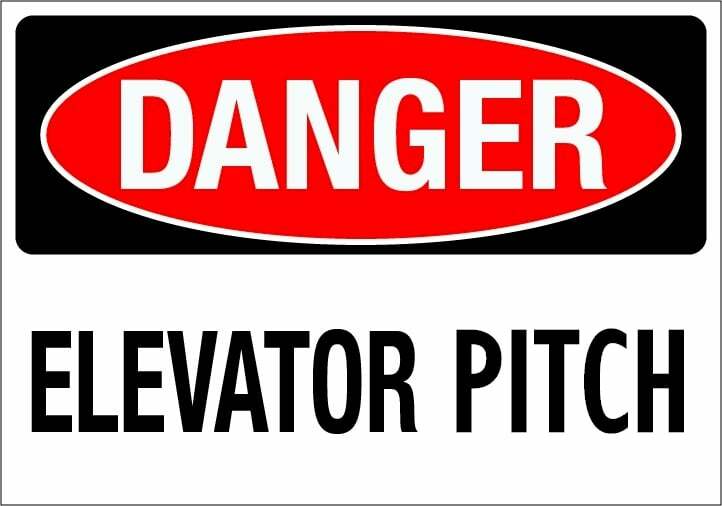 What’s your reaction to elevator pitches? Am I just a rude S.O.B. who needs to be more tolerant and pretend to listen to anyone who wants my time? I want to know what you think. 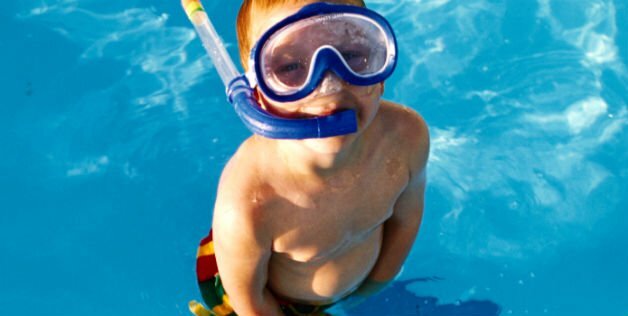 Hiring great people is a noble goal but it raises two challenges: how to attract candidates with those rare, valuable qualities into your pipeline, and how to identify them in the interviewing process when everyone is telling you how talented, motivated, curious, and ethical they are (yada, yada, yada). How do we get past all that so we really know who we’re hiring? How do we avoid hiring in desperation? Let’s talk about two fatal flaws in the entire recruiting/hiring process. First, we try to attract people when we need them. That limits us to cold, calculated, rushed recruiting methods that don’t work well. You can’t assess someone in a job interview. You need to see them in action. That takes time, which employers don’t have in a job interview. To recruit effectively, we need to attract good people long before we need them, so our relationships will be based on common interests, not common desperation. Second, we can try to “attract people into our pipeline” all day long. But the ones we want aren’t out looking for pipelines. We must find and enter their pipelines. We must meet them on their career tracks, and be present at the critical points in their work lives. People make career changes only at certain points. We can be there waiting for the best when they are ready, or we can be out chasing people who are chasing jobs. My suggestion: The people we want are all around us on discussion threads on work-related forums all over the Internet, talking shop. Talk shop with them, get to know them, establish your own cred and you’ll always have someone to turn to when you need help. The Zen of it is this: You can’t really identify the people you want in the interview process. At that point, it’s too late, and it’s all too scripted. You identify the people you want to hire on the street, on the job, and in the throes of dialogue with their peers. Then you follow them and get to know them. You enter their circle of friends. You should talk to them about a job only when you know them well enough. Not when the pipeline needs to be filled. That’s how you avoid mistakes. But show me one human resources department that recruits that way — they don’t. Last year, the world spent $1.3 billion for “just in time hiring” through one job board alone: Monster.com. How stupid. 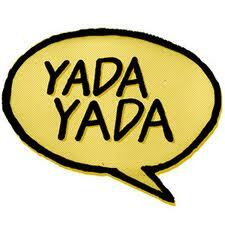 Yada, yada, yada, the pipeline needs to be filled. Indeed, but you need to fill the pipeline long before you need to hire anyone, with relationships. If your pipeline is full of just applicants and resumes, you’re hiring in deperation. Desperation hiring: That’s when you need to fill a job right now and you flap your lips Yada, yada, yada through 20 interviews pretending you’re getting to know someone. You can’t assess someone in a job interview. It can’t be done. If you want to hire the right way, you start last year. Sometimes I’m also a job hunter. I want to work at the companies I apply to, and I tell them why in a customized cover letter. I detail how my strengths match their needs, and I’m honest about what I still need to learn. That’s what it takes to get hired. Why do people have such a hard time understanding these simple points? There are two big misconceptions that lead people astray very quickly when job hunting. The first is that because they want a job, they’re worthy of being hired for any job they apply for. The second is that applying for jobs gives them an honest chance those jobs. But reality tells us neither idea is true. What you say is absolutely crucial for every job hunter to think about. I want to work at the companies I apply to, and I tell them why in a customized cover letter. I detail how my strengths match their needs, and I’m honest about what I still need to learn. I’ll ask anyone reading this: Can you say this about the way you approach an employer? As a headhunter, I’ll tell you that it’s a rare person who takes this approach. And the failure to approach only companies you really want work for is fatal. There aren’t 400 jobs out there for you, so why do you apply for them all? If you’re just “looking for a job” and spamming your resumes to all job postings, then it’s no wonder that employers don’t spend any energy following up on your “interest,” since it can be pretty obvious you didn’t spend much energy asking to be considered. I love it when I get a letter or e-mail from someone who tells me they “want to express their interest” in this or that job, or in “working with me.” It’s nonsense, because there is no further indication or proof that they know anything about me or my business. When they apply for a job, all they know is that they saw an ad. Period. And they sent in “their information.” That is why most applications die on the vine. What’s the necessary approach? You gave it to us. Go after companies you really want to work for. Demonstrate your interest. Prove you have abilities that are relevant to the employer and job. Anything else is sloppy and obviously gratuitous (or desperate). Yet the employment system encourages gratuitous and desperate applications, so we can say that employers get what they ask for. But they don’t hire that way. 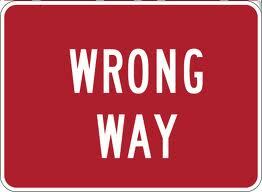 It’s up to the job hunter to do it right, even when the employer tells you to do it the wrong way. Do you just zing out your resumes and applications to every job you find that looks “of interest?” Or do you carefully target and demonstrate your worth to each employer? I think most people succumb to the quick-and-easy spam-a-lot approach to applying for jobs — because it’s what employers ask for. What do you do to educate the employer — and prove you’re worth hiring? 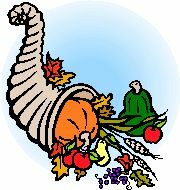 This blog posting is brought to you in spite of Hurricane Sandy. Ask The Headhunter HQ is still without power, 7 days and counting, with no thanks to the inept disaster management planning of Jersey Central Power & Light. Many thanks to American Power Conversion for keeping the joint running.